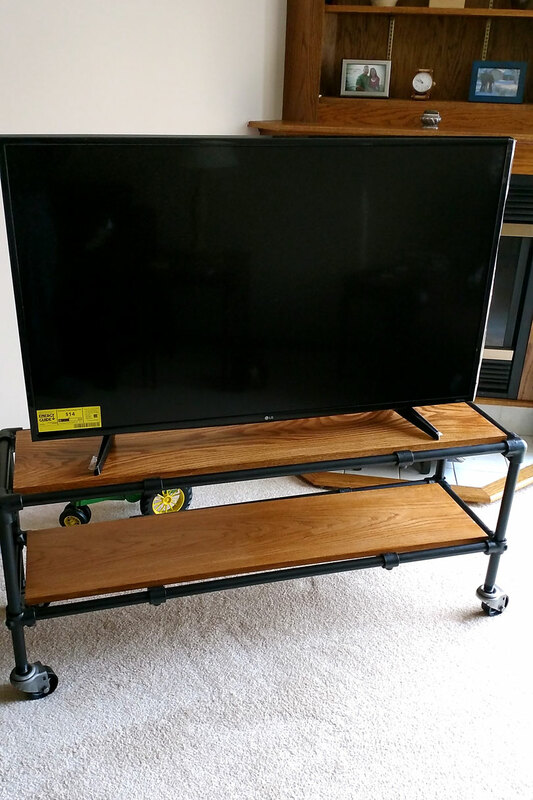 This DIY industrial pipe TV stand was built by Dan for his home in Oakdale, Minnesota. 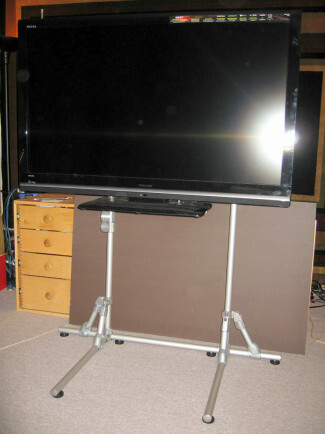 The stand frame is built from Kee Klamp fittings and pipe, while two shelves attached to the frame, allow space for Dan's TV and DVD player. 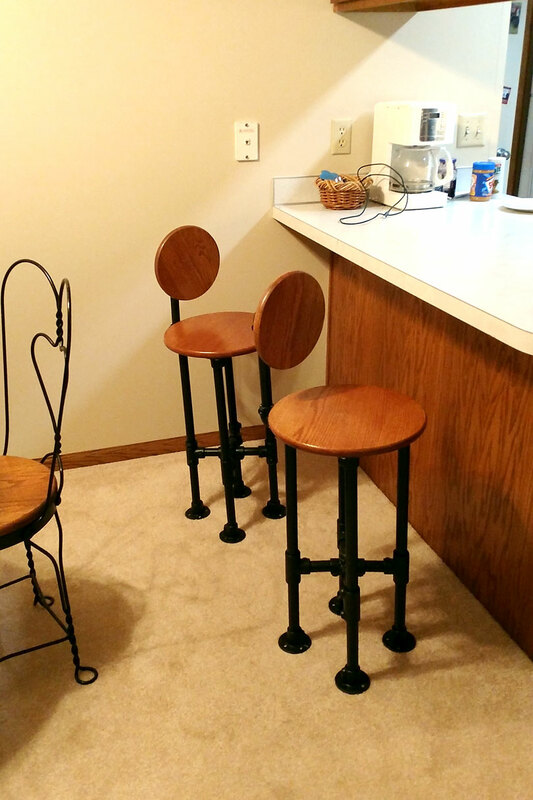 The simple, yet beautiful and extremly functional design is easy to assemble requiring only a few basic tools (primarily an Allen Wrench) to put together. In this post, we'll cover the details of Dan's project, the fittings you'll need to build a TV stand just like his, and how to put it all together. 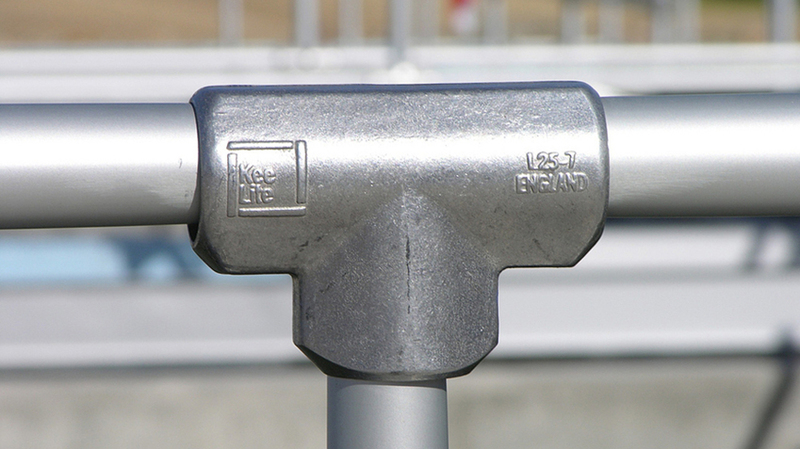 The stand features two shelves that are attached to the pipe frame using the M50 fitting. This fitting slides onto to the pipe support while creating a tab for the shelves to attach to. Each M50 fitting has a hole in the fitting tab to allow for mounting. 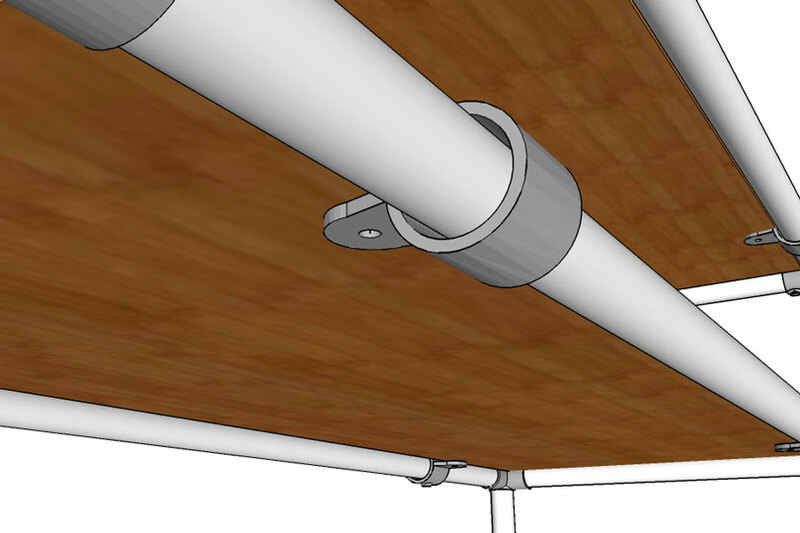 The shelf boards simply rest over top of these fittings and are secured using wood screws. 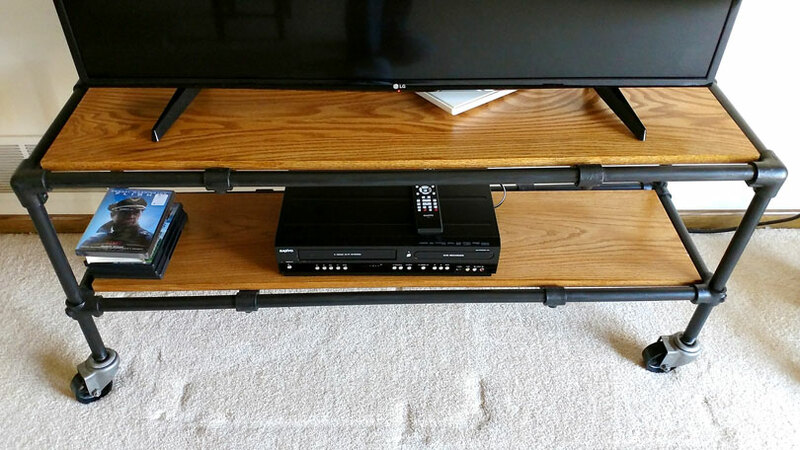 The pipe TV stand also features casters on the bottom of the stand legs to allow for easy mobility. 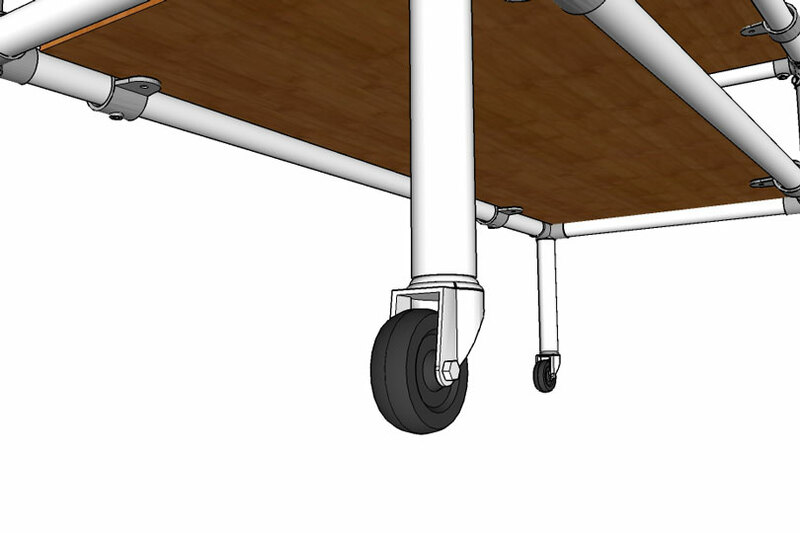 These casters slide into the open end of pipe and can be secured to the fitting by turning the caster clockwise. 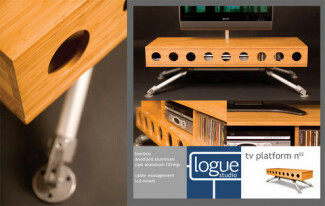 Overall, the pipe TV stand sports a simple yet eye-catching design that is fairly straightforward to assemble. Best of all, the stand can be taken apart and reassembled when needed (for example, should Dan ever move). It can also be reused in a future project (should Dan decide he no longer wants this TV stand, he can reuse the fittings to create a number of projects like a coffee table, desk, bed frame, and more). 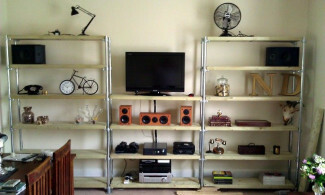 Below, are all of the fittings you will need to build an industrial TV stand just like the one Dan built. 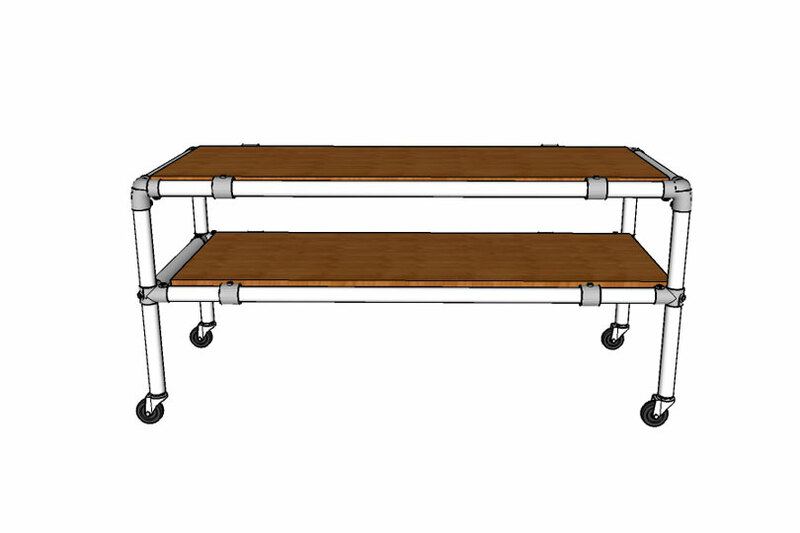 The TV stand can be configured to as tall, long, and as deep as you like based on the length of pipe your order. 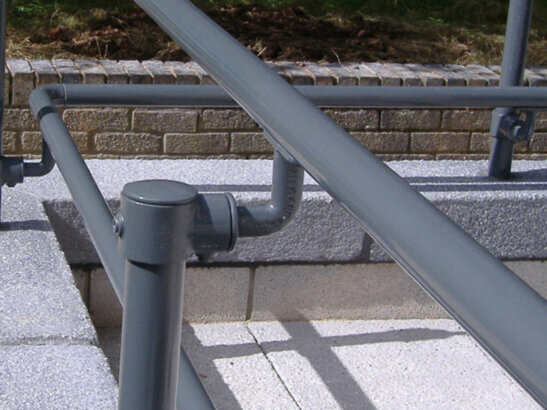 We offer pre-cut pipe that can be ordered on this page. M50-6 - Male Single Swivel Socket Member, 1"
One of the best things about building with Kee Klamp is there is no exact order when assembling a project. 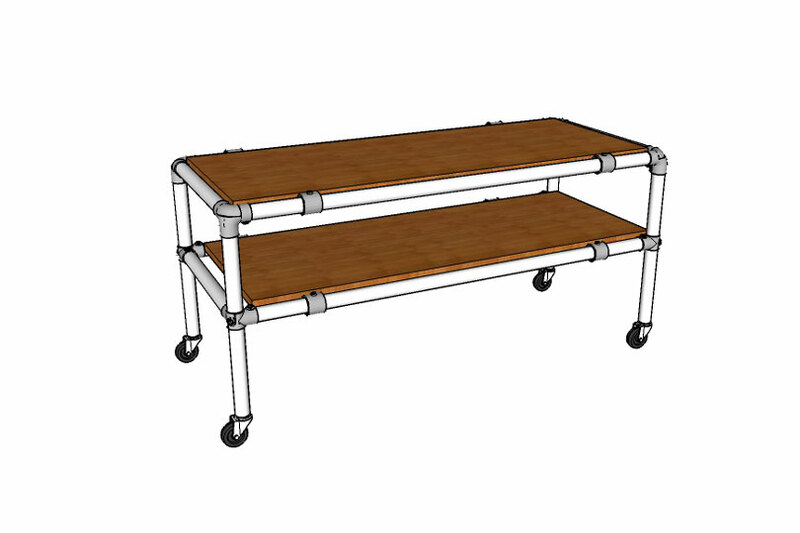 Our customers use Kee Klamp to build all sorts of projects from railing, to desks, to table frames, even parkour structures. The flexibility and adjustability of the fittings really allow you to approach the assembly process in a way that makes sense to you. 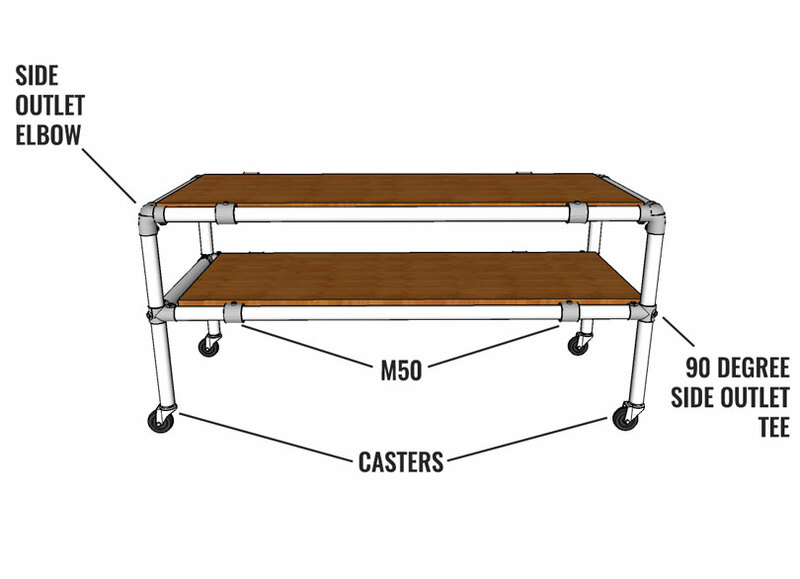 The TV stand uses four types of fittings: The Side Outlet Elbow, the 90 Degree Side Outlet Tee, the M50 fitting, and Casters specifically designed for use in pipe structures. Follow the diagram above when figuring out where to use each fitting. The casters slide into the opening at the bottom of the pipe legs. 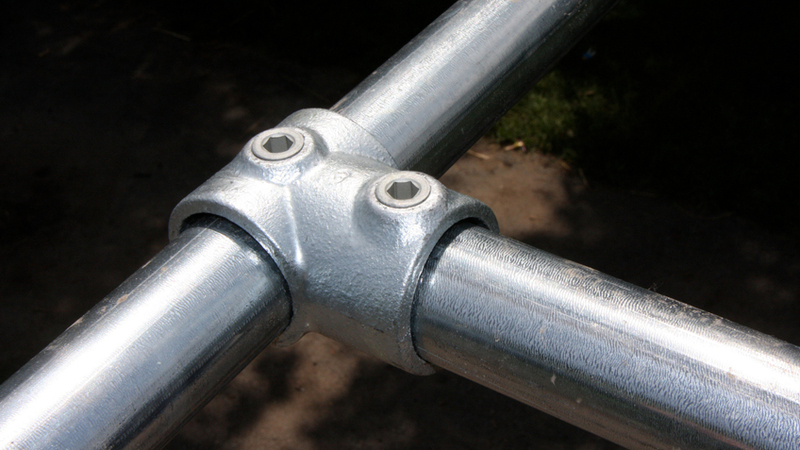 Once placed inside the pipe, the caster can be secured to the pipe using two methods. The first involves simply turning the caster clockwise while the other involves using a wrench to tighten a nut just above the wheel. The video on this page will offer a more detailed overview of how to do this. 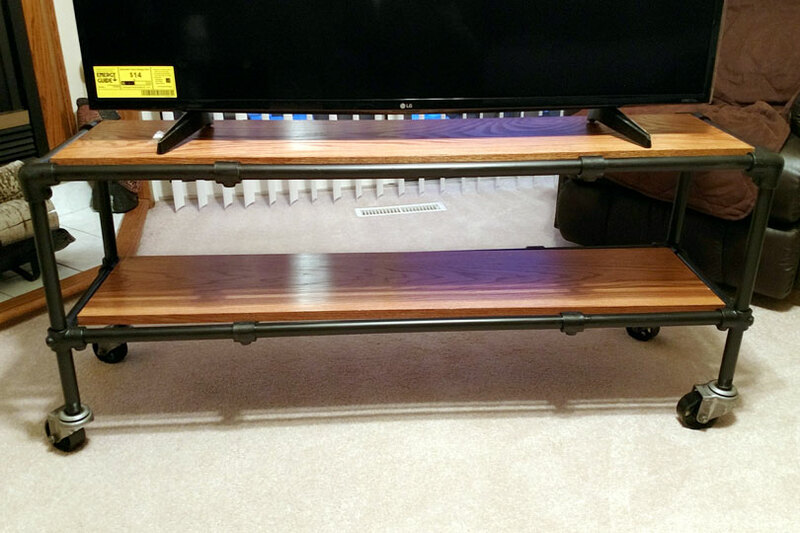 Lastly, the shelf boards can be attached to the TV stand frame using the M50 fitting. As I mentioned earlier, each of the fittings has a tab with a hole in it. This allows it to be mounted to a platform. Simply place the boards over this tab and use wood screws to attach the shelves. That's it! That's really all there is to it. Putting together a custom TV stand for your home doesn't have to be difficult. By using Kee Klamp fittings and pipe, all you need is a few basic tools and you'll be able to assemble your own TV stand in no time. If you need any help assembling a TV stand like this one, or coming up with your own custom design, reach out to our projects team for help. Our team is here to assist you in creating the perfect design. Reach out to the team at projects@simplifiedbuilding or visit our free design assistance page for design help. Finally, we hope this post was helpful to you and if you want to see more content like this, be sure to sign up to our email newsletter to receive updates on future projects.